Real estate investment managers should take a long term view on their investments ahead of market cycles, considering secular shifts that drive real estate demand, such as demographics, technology, urbanization, and environmental change (DTU+E). As most advanced economies transition from the post-industrial to the knowledge-information era, human capital will increasingly be key driver of long term economic success. Knowledge, and not just wealth, is the key factor that today drives labour productivity, and future growth. Faster technological progress spawns in areas with a higher level of human capital, which support firms’ productivity and capacity to adapt to new technologies. Areas with higher levels of human capital have better long term economic prospects and thus possess higher attractiveness for real estate investments. Real estate investment strategies need to efficiently factor-in secular trends and market cycles in portfolio construction in order to properly evaluate mis-priced risks and achieve sustainable outperformance. The LaSalle European Human Capital Index (LEHCI) proposes a new measure of the level of human capital intensity across more than 300 European regions and cities. The index stems from the neoclassical economic theory which sees human capital as one of the key drivers of the productivity growth of a region. We introduce a novel framework based on the concept of the Human Capital Triangle. In contrast with traditional approaches that measure human capital by educational attainment and monetary returns, we postulate that educated and creative workforce accumulate in areas where activities are supported by investments in R&D and technology (Figure 1). The three components of the Human Capital Triangle (skilled workforce, creative workforce and investments in R&D and technology) create a dynamic social and business environment in which skills and creativity fuse, develop and accumulate. Multivariate analysis (correlation analysis, multiple linear regression and factor analysis) was applied to scrutinise fifteen socio-economic indicators at sub-regional and local scale. Tertiary education level and quality, capacity to attract high educated work force, patent production, population density, R&D and venture capital investments, productivity and GDP per capita are among the variables analysed in the multivariate analysis. Six variables (two for each element of the Human Capital Triangle, see Figure 1) have passed the multivariate analysis and constitute the LEHCI composite indicator. The results of LEHCI show that areas with higher levels of human capital prove to be favourable investment markets. In fact, the regions and cities on the top of the LEHCI outperformed the 10-year rental growth (2006-2015) over the rest of the European markets. This result also demonstrates that cities and regions with stronger human capital are more financially resilient to downturns as our analysis included the rental growth over the 2007-2009 Global Financial Crisis and the 2009-2011 European debt crisis. According to the LEHCI ranking (Figure 2), human capital is for the most part concentrated in a few large and densely populated locations (cities), which are a magnet for talents and will continue to be over time. The top ten positions are occupied by city capitals (with the exception of Munich and Stuttgart). They all are recognized as emerging or leading world locations in terms of talent attractiveness, employment levels, and culturally dynamic centres. The distribution of scores is skewed towards the top of the ranking; for example the first two top performers, Paris and London, have a score twice as high as Vienna’s 15th position. On a country aggregate basis, the top scorer is the UK closely followed by Germany. France is third, followed by Spain and Italy. The biggest cities, in general, tend to be the winners in the LEHCI index. They are magnets for talents and they will continue to be so over time. 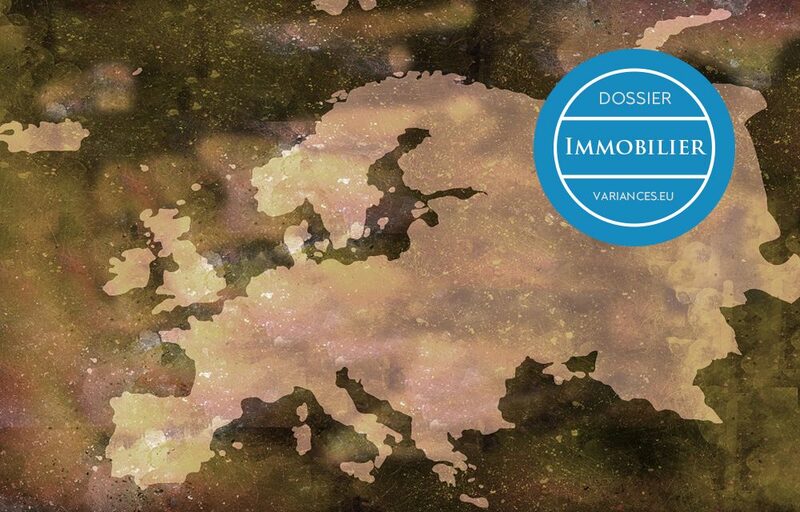 In the category of winning real estate markets it appears that the “usual suspects” are cities that tend to be in the Northern part of Europe, with the exception of Madrid, Barcelona and Milan who score well. Does this mean that small and medium sized locations do not have the propensity to grow their human capital and competitiveness going forward? The index shows that small can also be beautiful. These locations are not necessarily big cities but most have at least one very strong knowledge-based competitive advantage. Some of the top 40 locations are good examples of small-medium regions which are characterised by an innovative environment without having a large population. Their strength comes from being home to world class universities and have developed a hub for research and education in science and technology, such as Oxford and Cambridge (UK). Southampton (UK) is a rapidly growing tech cluster with an impressive 180% growth in average turnover between 2010 and 2014 and over 80% of digital tech businesses trading overseas. Its specialisms include digital media & entertainment, hardware, devices, and data management. Styria (Austria) is another successful example: the region has five universities, an internationally-renowned technical education system and numerous research facilities which make it the technology hub in Austria. It is home to 200 companies and research institutions working and researching in the areas of green energy and environmental technologies. Paris, Lyon and Toulouse score well and appear in the LEHCI top 20 cities. LEHCI helps us to construct effective portfolios by selecting outperforming markets that are also resilient and able to better perform during downturns, it has significant policy implications that go beyond the investment world. Local authorities can use the Index to explore the contributors and inhibitors to the accumulation of human capital, and investigate issues such as housing affordability and urban infrastructure.